Operating all of your lights from the touchscreen of your smartphone is convenient, but doing so from your watch is even better. Screw Elgato's Avea Bulbs into your light fittings, download the Avea WatchOS app onto your Apple Watch and set the mood from your wrist. With Samsung's SmartThings Starter Kit, you get a choice of window and door alarms, which will send you a text alert or set off the optional burglar alarm when tripped. But you can also link it to your Hue lights using the IFTTT app on your phone, and make them flash red. Not all smart lights come with a party mode, but French company Flux's lights are very much up for the big occasion. The accompanying app offers a variety of subtle lighting modes, but the Sound & Light Show setting makes all your Flux lamps change colour in time with the music you're playing. By using the IFTTT software, you can cook up a simple 'recipe' that'll make your Hue lights flash when you receive a message, be that via Twitter, SMS or email. All you need is some Hue lighting and a smartphone or tablet running both the Hue and IFTTT apps. Voice control for your lighting is now a reality, and the easiest way to do it is with Apple's HomeKit. If you have an iPhone and a Philips Hue set-up with the later 2.0 hub, you're in business. Follow the simple instructions on the Hue app and you'll soon be able to issue commands like, “Hey Siri, set lights to 50 per cent,” straight into your iPhone or Apple Watch. Often up in the night to use the lav? 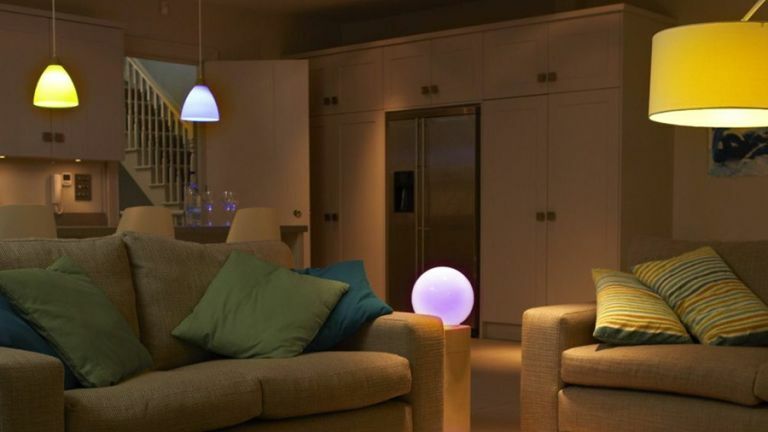 Use SmartThings motion sensors and LIFX smart bulbs to light your way. The products are compatible, so it's a simple case of telling the app to illuminate a specific light to 25 per cent brightness when you stumble near the sensor. No more fumbling for light switches or waking the family.